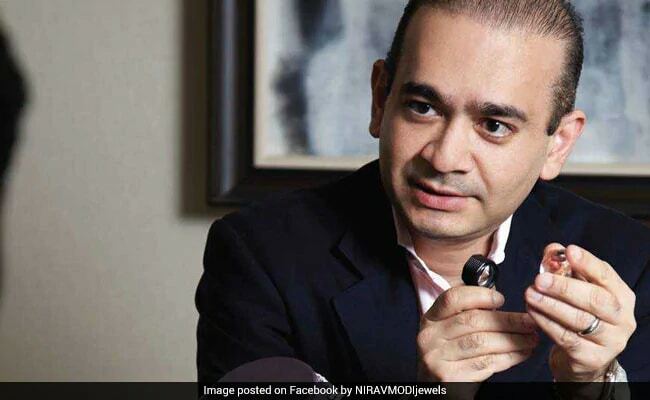 Nirav Modi's bail plea was being heard in London's Westminster Court. An Enforcement Directorate (ED) officer who has completed his tenure in the agency was removed from the probe into the Nirav Modi scam while he was in London for the fugitive businessman's extradition proceedings on Friday. ED chief Sanjay Kumar Mishra cancelled the order as questions were raised about his abrupt removal in the middle of a high-profile assignment. A joint CBI-ED team is in the United Kingdom to assist the Crown Prosecution Service (CPS) in its efforts to extradite the businessman, who is accused of defrauding the Punjab National Bank of over 13,000 crore. Joint Director Satyabrata Kumar was attending a hearing on Nirav Modi's bail petition in London when the internal ED order came through. "Satyabrata Kumar, Joint Director, Mumbai Zone, has completed his five years' tenure. As per the Supreme Court order, he will continue to supervise the investigation of coal scam cases, and all other files will be directly marked to the Additional Director, Western Region, who will be in charge of Mumbai Zone until further orders are received," it stated. Even as news of Mr Kumar's removal spread, the ED issued a clarification through its official Twitter handle. "According to certain media reports, the Joint Director supervising the investigation into the Nirav Modi case has been relieved of his duties. This report is not correct," it read. However, three internal orders accessed by NDTV show that Mr Kumar was indeed removed from the probe. The order was cancelled only after the matter was reported in the media. On March 26, a day before the CBI-ED team left for the United Kingdom, an order directing "officers who have completed deputation tenure" was issued to all zones by the ED head office in New Delhi. The order also said that "any official act carried out by such an officer beyond his/her approved tenure may come under legal challenges of having acted without jurisdiction". Despite the order, Mr Kumar was sent to London the very next day to assist the CPS in the Nirav Modi case. Just as the hearing was about to begin on Friday, Western Region Special Director Vineet Agarwal issued an order stating that Kumar had "completed his tenure of five years, and it is the immediate superior's responsibility to ensure that he does not overstay". Sources claimed that Mr Kumar had completed his deputation tenure in the ED on March 12, and no extension was granted. "The work for extension of deputation tenure starts some six months before its expiry. The extension itself should be granted before the expiry of the tenure. The files go through various levels, including clearance from the Central Vigilance Commission, for extension of tenure," a senior ED officer said on the condition of anonymity. ED officials also refused to answer why Mr Kumar was sent to London despite the "warning order" being issued a day before his departure.